David Lee Gapske, 82, of Alpena passed away Thursday, November 1, 2018 at his home. David was born July 10, 1936 in Alpena to the late Edward and Martha (Schultz) Gapske. He married Eliza Jean Lockwood on December 7, 1965. He was a member of the Jehovah’s Witness Kingdom Hall. David owned and operated Industrial Tapping in Warren and later D&J Auto Sales in Rose City until his retirement. Surviving are wife, Jeannie; 6 children, Karen and Dennis Palkovich, Greg Gapske, David and Vanessa Gapske, Jr., Shawn and Moura Gapske, Sara and Dale Cleland, Garth and Lisa Gapske; 11 grandchildren; 13 great grandchildren; 2 sisters-in-law, Darlene Gapske and Virginia Gapske. 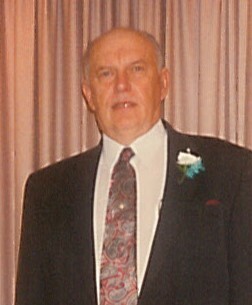 Mr. Gapske was preceded in death by his son Ed, granddaughter, Heather; 2 brothers, William Gapske, Donald Gapske and sister, Geraldine Gathier. A memorial service for Mr. Gapske will take place at the Alpena Kingdom Hall on Long Rapids Road on Saturday, November 17, 2018 at 1 p.m. with Elder Roman DeColumna officiating. Cremation arrangements have been handled by the Bannan Funeral Home.